When a friend has a crisis, two very different Californians chart the intimate moments in their lives, the "others" that influenced them, and how the detours of life have led to an unexpected bond. Featuring Broadway giants Judy McLane (Mamma Mia!) and Philip Hernández (Les Misérables), Los Otros is a beautiful and inspiring new vision from Tony Award nominees Michael John LaChiusa and Ellen Fitzhugh. Be among the first to experience one of the most exciting theatre events to hit Baltimore this year! WHEN: Now on stage through April 23. Attending Light City in Baltimore? Los Otros uses more than 200 different light cues to evoke the sunny and starlit qualities of the southern Californian sky. 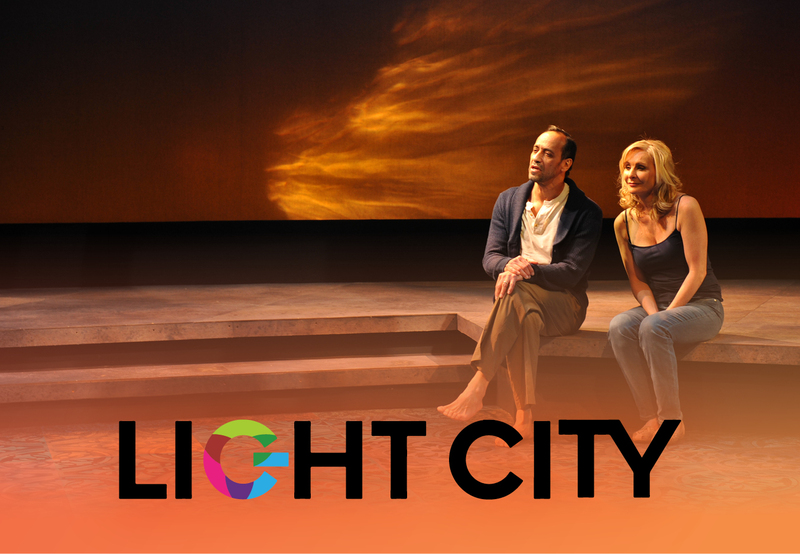 Use code LCITY17 to save 20% on tickets to any performance during Light City Baltimore, March 29-April 9. Offer LCITY17 expires Sunday, April 9 at 7:15 PM. Offer is valid on tickets to all performances of Los Otros between March 29 and April 9. Offer is valid on adult tickets only and cannot be combined with other offers and codes. Limit 4 tickets per order.